[b]Dinah "Laurel" Lance ~ "We[/b] don't need to go outside the law...to find justice". Assistant District Attorney Dinah "Laurel" Lance (born 1985) ,formerly a legal aid attorney and currently one of two assistant district attorneys working under District Attorney Kate Spencer, Laurel is the daughter of Dinah and Quentin Lance, the older sister of Sara Lance, the ex-girlfriend and main love interest of Oliver Queen and the ex-girlfriend of the late Tommy Merlyn, and the best friend of fellow lawyer Joanna De La Vega. Laurel had a romantic relationship with Oliver for quite sometime, up until he cheated on her with her sister. Previously, Laurel was a part of a group called the City Necessary Resources Initiative, or CNRI, that helped people in need. She was a former supporter of The Arrow, but was working with the DA's office to capture him and held onto this until she and her father were rescued by The Arrow after they were captured by Barton Mathis. Laurel's anger towards Oliver for getting her sister killed made her harsh towards him, at first. Laurel is hard working, and fights hard to get what she wants. She is a great lawyer and lives to stand up for the innocent and what is right, despite the corruption in Starling City. She can be feisty and doesn't like to be told what to do. Laurel is attracted to troublemakers, as shown when she dated both Oliver and Tommy. She gets annoyed when her father tries to get in the way, always forming his opinion of her boyfriends, even though it almost never changes her mind. Laurel is tough and knows how to take care of herself. She takes risks, like contacting Arrow, and can't resist saving people from tough situations, from when Tommy and Oliver were going to get beat up in the night club Poison, to innocent people on trial. However, she has a big heart and tends to see the best in the people around her. Oliver states that she should hate him for what he did to her and her sister, but she did not. She even wants to get along with her father again, after he used her as bait for The Arrow, even though stating that it will take some time. She is also one of the few people seeing the good person Oliver is inside, even through the snob-front he presents on the outside, the other one being Raisa, his housemaid. * Skilled hand-to-hand combatant: Laurel received extensive hand-to-hand combat training. This is because her father made her take self-defense classes. 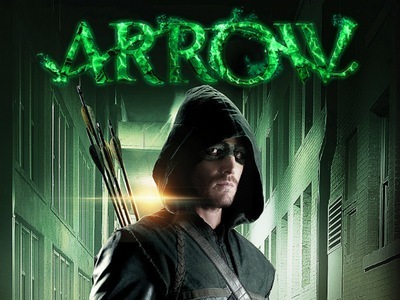 Still, she is nowhere near the level of Oliver and all the other felons he goes up against as The Arrow. 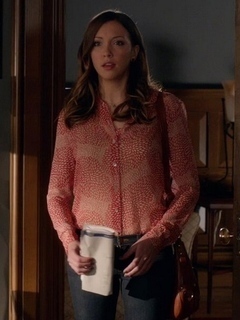 * Expert lawyer/Detective: These help Laurel to use the system of the court to her knowledge. It also makes her look at every aspect before making up her mind, and to see the bright side of everyone.